Even before the gaming industry became a social platform for people to enjoy competitive entertainment, Nintendo was all about multiplayer games to begin with. If you owned the good old NES Classic Edition, then competing with your siblings and friends to cross the finish line in the pixelated virtual world is a memory that cannot be soon forgotten. The same thrill and adventure of going head-to-head and feeling the adrenaline rush of racing games has been brought the Nintendo Switch as well. Designed to be a multiplayer sensation right from the start, the couple of Joy-Con controllers of the Nintendo Switch are just the right accessories to allow high-octane racing experience on the console as well as the big screen. Rightfully so, there are a bunch of enthralling racing games for Nintendo Switch available on the eShop right now, and we’ve sifted through all of them to find the best ones out there. Certainly not a game title that needs introduction, since Mario Kart is the reason we hate our siblings and don’t talk to certain childhood friends anymore. This original comes directly from Nintendo, offering you the most lovable characters from its universe Mario Kart feels like an entirely new game in itself instead of being a ported title from Wii. While the game has been wildly popular for introducing some of the most popular Nintendo characters of all time, the latest version brings even more high-flying action with brand new racing tracks and multiplayer battle arenas for you to fight it out in. Crafted beautifully with smooth 3D animations, goofy animation effects and frustratingly fun style of competitive racing is what makes MK 8: Deluxe legendary. There’s a certain amount of nostalgia that is attached to the Nintendo brand, and thanks to the diminished rivalries, another childhood favorite racing game from SEGA has made its way to the Nintendo Switch. SEGA AGES Out Run is a fun-filled arcade racing adventure that was also released for the Nintendo 3DS back in 2015, but now comes with the option to take the high-speed race to the big screen. This instant classic from the 1980’s allows you to take the wheel in a pixelated highway racing game with 5-stage courses where you must avoid obstacles and cars on the road and reach the checkpoint before the time runs out. Offering a stunning 60FPS gameplay with iconic tracks such as Last Wave and Passing Breeze to drive on, SEGA AGES Out Run is an enjoyable way to spend your time being a couch potato. If you’re done playing around with cartoonish characters and racing with games of the past, FAST RMX is a futuristic way to get your blood pumping. The sci-fi spaceship racer game for the Nintendo Switch packs a powerful punch with a collection of 24 different well-designed racing tracks along with 6 special ones added especially for the Nintendo Switch. Offering multiplayer along with online gameplay support to drive your mean flying machine through the anti-gravity arenas, lock down at 60FPS with up to 7 players in total. The extra addition of Hero Mode brings a range of challenges with new rules to let you fulfill your need for speed in a coolest way possible. While there are plenty of games like Forza that push the limits of realistic looks when it comes to racing games, Horizon Chase Turbo takes a different approach with unique design elements. However, when it comes to the gameplay and controls, you enjoy a fluidic experience every time you drive around the crafty track or speed across your opponents. Recreating the way popular 16-bit racing games of the 90’s was made, Horizon Chase Turbo brings in modern elements with multiplayer mode that supports split-screen multiplayer mode for the big screen action. From a auto-generated set of races that are filled with twists and turns, to infinite nitro and time attack modes, there’s a lot that goes on to keep you engaged in the game. Making its way to the Nintendo platform for the very first time, MotoGP 18 brings along the excitement, and the crisp graphics of top consoles to the Nintendo Switch. Possibly the only mainstream bike racing game available for the platform. MotoGP 18 has already made a name for itself over the years for bringing authentic licenses, tracks and all the super bikes. Catching up with the MotoGP 2019 tournament as it happens, you get to live the virtual life of a professional biker with an entirely customizable MotoGP avatar. Whether you’re drifting on the asphalt of Silverstone, or cruising past the competition at Le Mans, MotoGP 18 on the Nintendo Switch is your gateway to a realistic and highly enjoyable two-wheeler racing experience. Brought to you from the world where automobiles are alive and the popular character Lightning McQueen as the mascot, Cars 3: Driven to Win is a great addition to the Nintendo Switch racing genre. Offering a beautifully animated gameplay with incredible gameplay that is basically a fusion between Burnout and Mario Kart, you can choose to be youe favorite Cars character from the motion picture. A set of 20 tracks designed after the movie have been packed into the game, all the ones ranging from Radiator Springs to the Championship Circuit in Japan. 6 different game modes give you plenty of ways to keep the adrenaline pumping, as you rip through the roads to become the Ultimate Champion and reserve your spot by training to become a Hall of Fame Driver in all its glory. 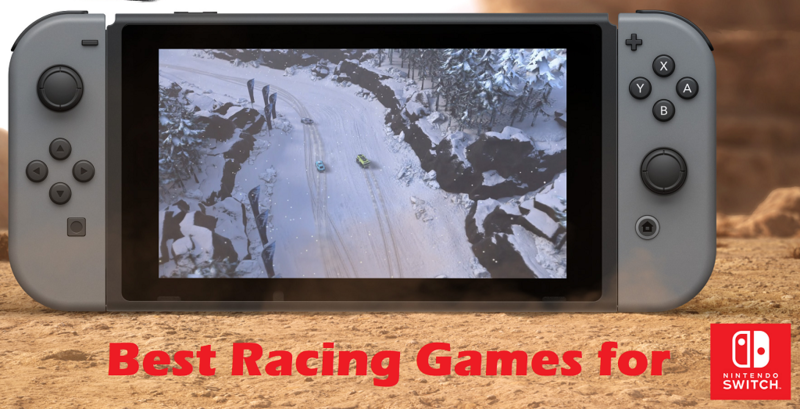 One of the select few top-down racing games available for the Nintendo Switch console, Mantis Burn Racing offers a high-speed chase for the win with off-road vehicles to blow your brains away. Packing a collection of 5 different classes of vehicles to choose from along with 11-season single player career that includes more than 150 events in total, you won’t ever be out of exciting races to compete in. The RPG-style upgrade system for vehicles allows you to fine-tune the machine and improve it before each and every race, while multiplayer support for slit-screen up to 4 players along with online multiplayer feature makes Mantis Burn Racing that much more engaging. 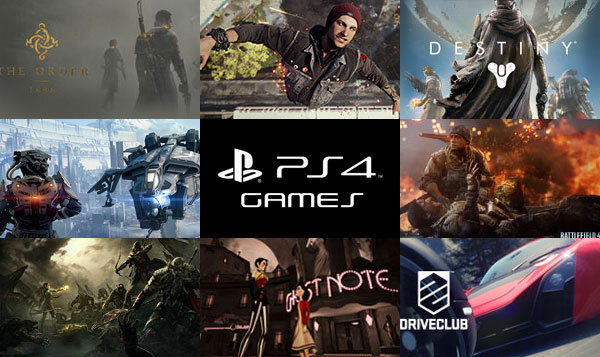 Additionally, there is a bunch of downloadable content in the form of Battle Cars, Elite Class, Snowbound and more for you to try out. The same old controls and cars can soon wear you out when it comes to Nintendo Switch multiplayer racing games, which is why the futuristic angle Riptide GP: Renegade has taken is especially impressive. Packed with intuitive controls and powerful hydrojet racing, you’re at the epicenter of all of it trying to become the best there is. Pull off incredible stunts across the tracks, dodge the cops and break the speed barrier with aquatic racing throughout. With the help of collectibles, you can easily upgrade your hydrojet and unlock specials and since this racing game socially playable, you can use the Online Multiplayer mode as well as split-screen on the console to hook up 8 other players either right in the room or online. There is something especially exciting about gaming, but this excitement simply multiplies when you have the competitiveness of racing games added to the mix. While the Nintendo Switch is a hybrid gaming console capable of doing a lot more than just allowing you to enjoy racing games, it certainly is built with the mindset of making multiplayer gameplay far more enjoyable than it is on other mainstream gaming consoles. Do you have a special addition that you think deserves a mention among the best Nintendo Switch racing games? Be sure to mention it in the comments section right down below and we’ll be sure to check it out.